Saturday was a rather grey, sombre affair here in East Sussex and, in need of some cheer, I headed into Lewes (never fails to charm so full of treasures and lovely cafes.) Of course I went to FLINT where Heidi and Julia run the most heavenly emporium...brimming with lovely pieces for the home downstairs as well as a lovely boutique feel to the clothes collection upstairs. Amongst other things they also sell carefully selected flowers. On Saturday there was a ravishing display of green and orange parrot tulips alongside pretty orange ranunculus...of course they had to come home with me! I love orange ~ such a happy colour, and so much more sophisticated than perhaps it's given credit for. It works so well against so many other colours...I love to see it paired with pewter grey hues. 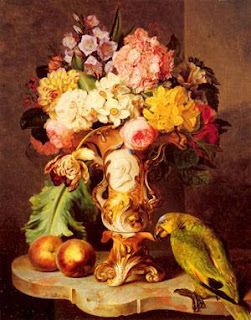 As they open out I am reminded of those wonderful Dutch still life paintings with amazing dark backgrounds, this one is by Kuss Ferdinand. Hip hip hooray for parrot tulips! If you are thinking of a trip to East Sussex do seek out Lewes it is such a lovely place. The Parrots? Oh yes...by Nina Campbell, find the fabric here. Purely here as they make me happy! If you fancy more of an orange fix check out my pinterest board here...it's visual vitamin C! I will be visiting England at the end of May and I hope to visit Lewes. Thanks for this post! 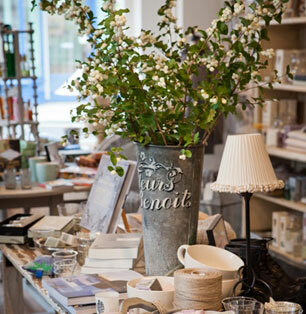 Lewes is a regular haunt of mine.I know that shop...it's fab! I popped, I ate, I drank and was merry!!! I love visiting Lewes although I haven't been there for a few years, you are lucky living close by. I've never been but 'oh' how tempting - I wonder if I could persuade the mister? Love, love the fabric and the old still-life painting. You, also, have some wicked good pins up. You are just fascinating Miss Sarah-Jane. 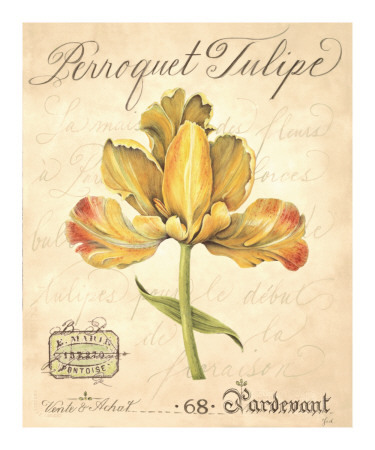 Lovely tulips - I've always liked the old Dutch flower paintings. I don't know East Sussex at all, it's always West Sussex that I visit. Maybe I should explore a bit further afield on my next trip down there. 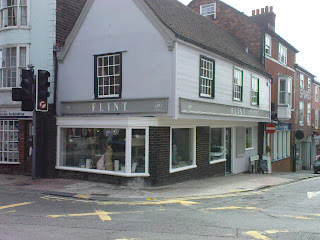 Hailing from Tunbridge Wells you have brought back fond memories of Lewes; thank you for that. I smiled at those parrot tulips as I brought home so uncannily similar ones a couple of weeks ago from my favourite florist in Tours where I live. Orange is fab, as you illustrate so beautifully, but I have a particular fondness for yellow. Do you have a yellow mood board at Pinterest too? Wow, you live in Tours how lovely! Are you having all this rain? Thanks for commenting on my blog! I've just added yours to your Followers as we have a few things in common. LOVE those Tulips, btw. I had some that were like canary yellow paeonies this year - absolutely glorious. Lovely Blog! Found you through Lucy Fisher's Love lane vintage facebook page. 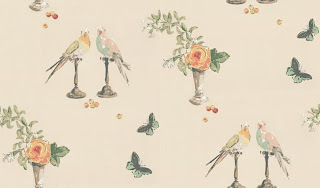 The artwork for the parrots caught my eye because it was done by another Sussex girl, Elizabeth Ockford who was one of Campbell's in-house designers.